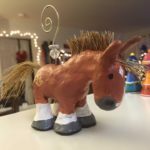 So before we look at the gifts they’ll LOVE lets look at a few of the biggest equestrian offenders you’ll definitely want to avoid. 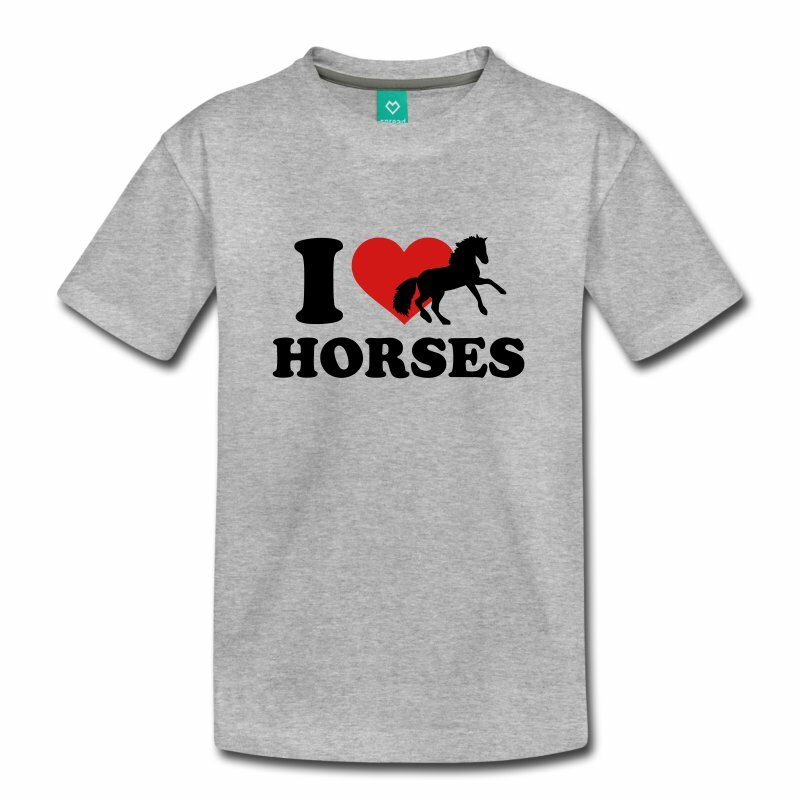 Any type of apparel with a horse on it. It’s so 1980’s. This includes sweaters, t-shirts, jackets, slippers… we’re equestrians, chances are, we’ve got a really good sense of fashion. Our entire family and all of our friends already think of us whenever they see a horse, we don’t need to remind them anymore how much we love them. Any horse-shaped item or housewares, or trinket that has another purpose. Like a bag. We already own a horse shaped horse that takes over every inch of our lives, and we just tried to get rid of most of it at the last garage sale with no luck. Any generic horse statues or whimsical signs or sayings that have to do with horses. Chances are we’ve already got about 9 of them in every corner of our house. These are the kinds of gifts that horse people already have too many of, have tried to get rid of, and are running out of places to store. 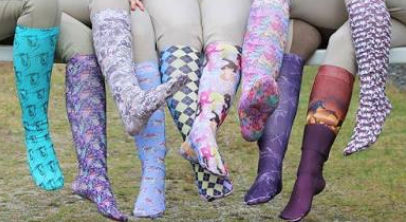 Granted, there are some really nice gifts “with horses on them” that do just fine for every equestrian, but you definitely want to avoid things like this. 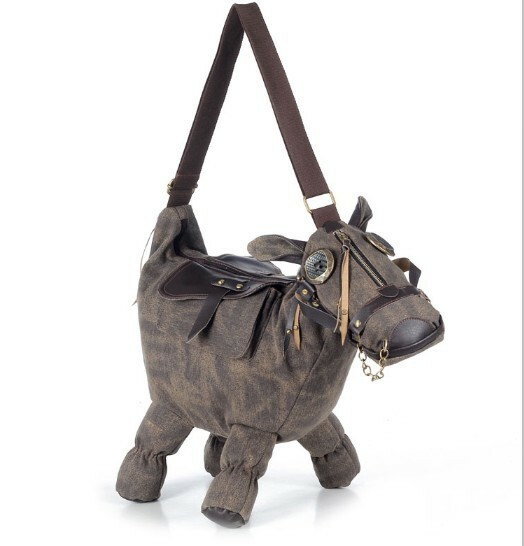 Now on to the gifts equestrians will LOVE. 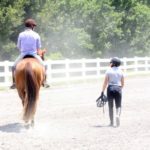 I know this can be really hard and even intimidating if you’re not an equestrian, because there is so many horse products out there, but here are our top 10 gifts every equestrian will be extremely grateful for. The main key is “practical” and things that are practical are in abundance, especially in the winter time. What’s even better, some of them you don’t even have to go to a “horse store” for… you can get them anywhere! 1. Cold Gear & Under Layers. 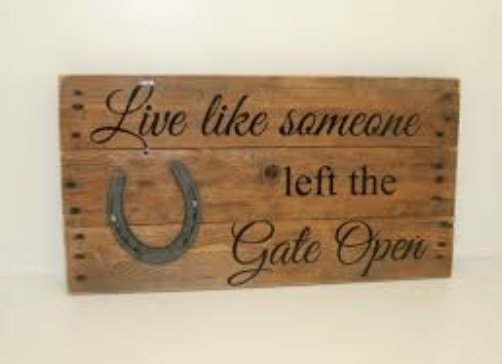 This is one of my ultimate favorite gifts to give other equestrians. Most of us ride all year round and cannot afford to either live in places like California or Florida, let alone migrate there for the season. We freeze our tails off at the barn trying to stay warm while doing horse chores or riding in below 20 degree temperatures. Heat gear can be found at any local sports store or skiing store and in many different brands such as Nike, Adidas, Under Armor, Champion, or even store brands. 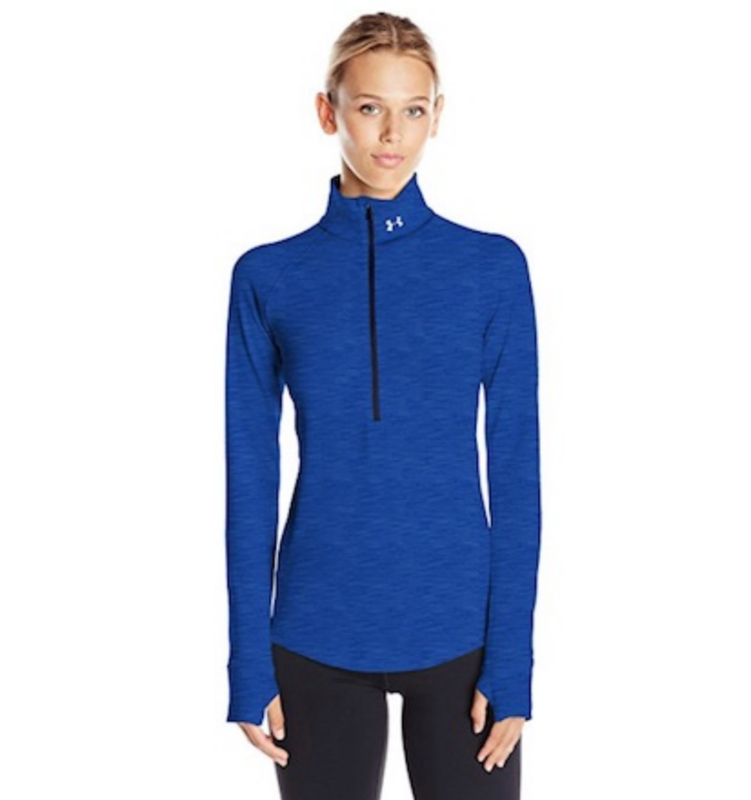 “Heat Gear” or “tech gear” is flexible, comfortable athletic gear that allows full movement while keeping us warm on our horses as we ride all winter. They may also be called “compression” or “thermal” layers. They are tremendously warm, they prevent us from getting a sweaty cold chill, and they come in an endless variety of styles, colors and shapes. You’ll find them in the running or even skiing section of the store. 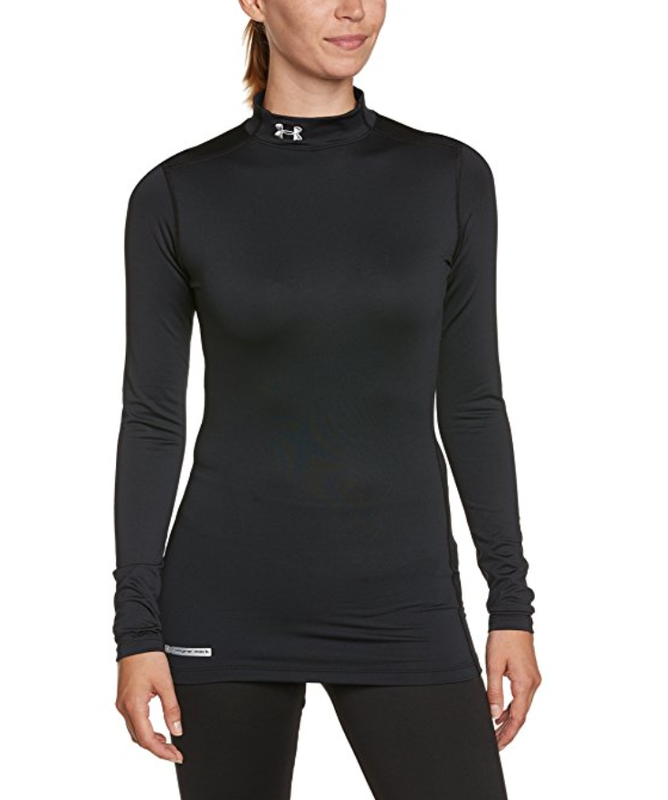 (They’ll call them winter running gear, but it works just as great for equestrians!) Not only can you get cold gear shirts, they also have pants as well that we can wear underneath our regular riding pants. You cannot go wrong with this gift, trust me, they are very nice and well appreciated gifts by anyone planning to ride and not freeze this winter! We can never have enough of them. 2. 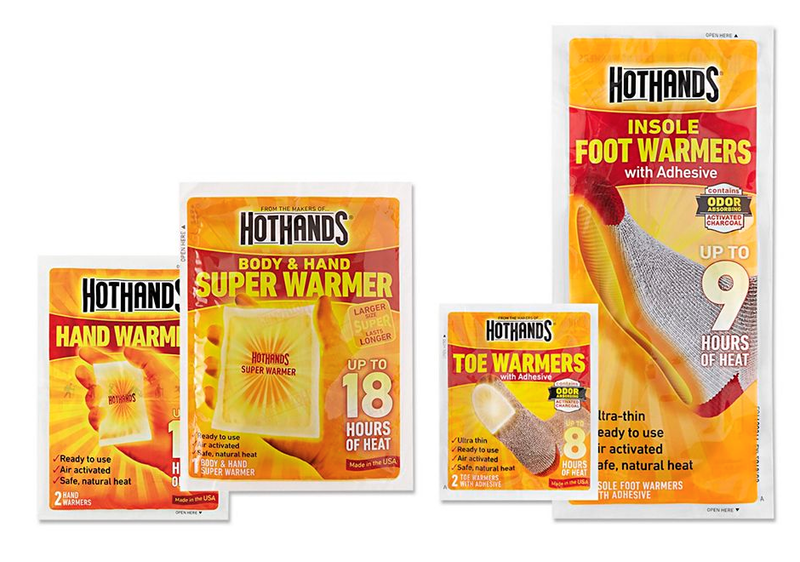 Heat Packs – Hand & Toe Warmers. The first thing to go is always our toes and fingers. “Winter” riding boots are a nightmare to ride in. Our entire bodies are already stiff, lets ride in the most unforgiving boot we can find that won’t even allow us to drop our weight in our heels, let alone drive a car while wearing. Hand and toe warmers can be found on line or at your local sports or camping store. They are extremely cheap and keep our fingers and toes toasty for hours. They make fantastic stocking stuffers as well. 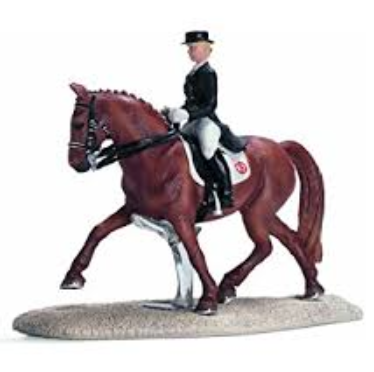 No equestrian will turn their nose up at this gift. Our love of riding battles with our risk of frostbite every winter. 3. Wine. Lets face it. Most equestrians are women. We love to drink, and we love to drink wine. 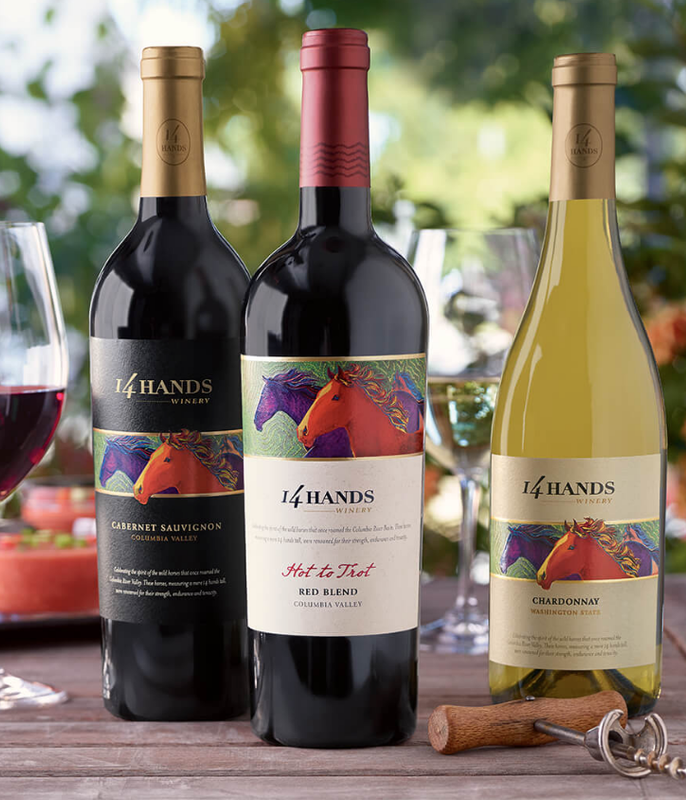 As a really really fun gift for any equestrian, there is an ever expanding selection of “horse” themed wineries that you can find at your local liquor store, and best of all, they are pretty decent wines, that will not break the bank. $10-15 each. 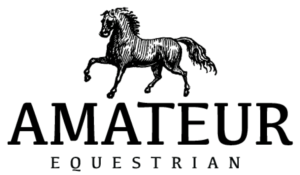 Some of the best equestrian brands that I’ve tried are 14 Hands, Horse Heaven Hills, Horseplay, Wild Horses and Dark Horse. 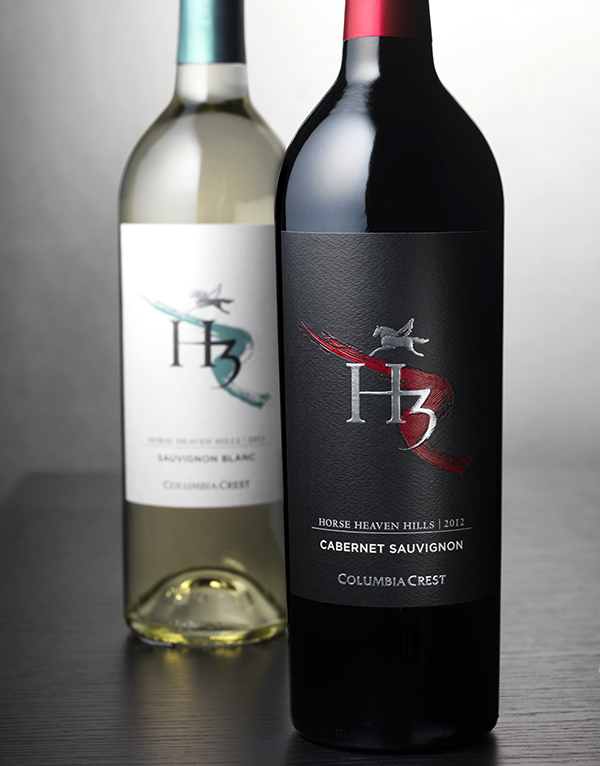 They all come in chardonnay, cabernet, pinot grigio, pinot noir, blended reds, and even a few you’ll find in blush. They’ll feel special because you took your time to select the horse theme, and even warmer inside, once they start drinking it! 4. Professional Equine Photography Session. 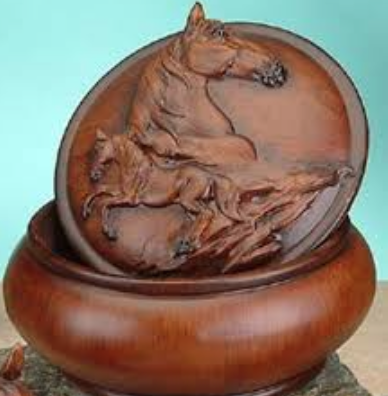 This one will run you a little more money, but will be cherished by horse owners to no end. 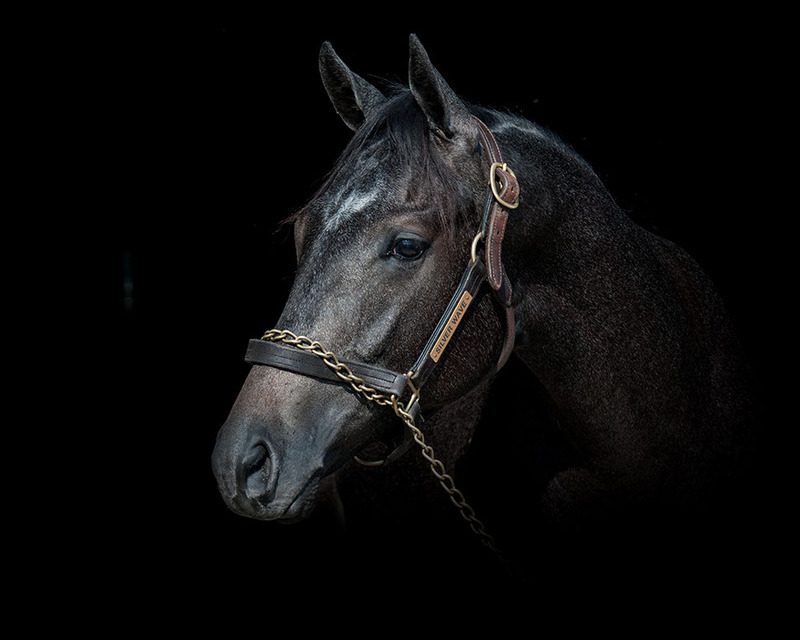 When you get tired of having us hang 32 mediocre photos we took off our iPhones of our horses all over our house, why not get us a professional photograph of our favorite equine (or a session with a photographer) that not only look amazing on the wall, allow us to cherish our beloved equines forever. For this you will have to quote your local photographers. You may even find some college students have access to equipment and have a fantastic eye for photos. You’ll save a few bucks that way! 5. Anything NON-horse related. I know it sounds weird, but after decades of horse-related gifts, we appreciate any individual who knows anything about us and what we are interested in other than “horse stuff”. Sometimes the best gift you can give a horse person is going to have nothing to do with horses. There’s only so much we want, need or can tolerate before its just equine overload. Like a gift certificate to a nice restaurant, or spa so we have an excuse to leave the barn. 1. 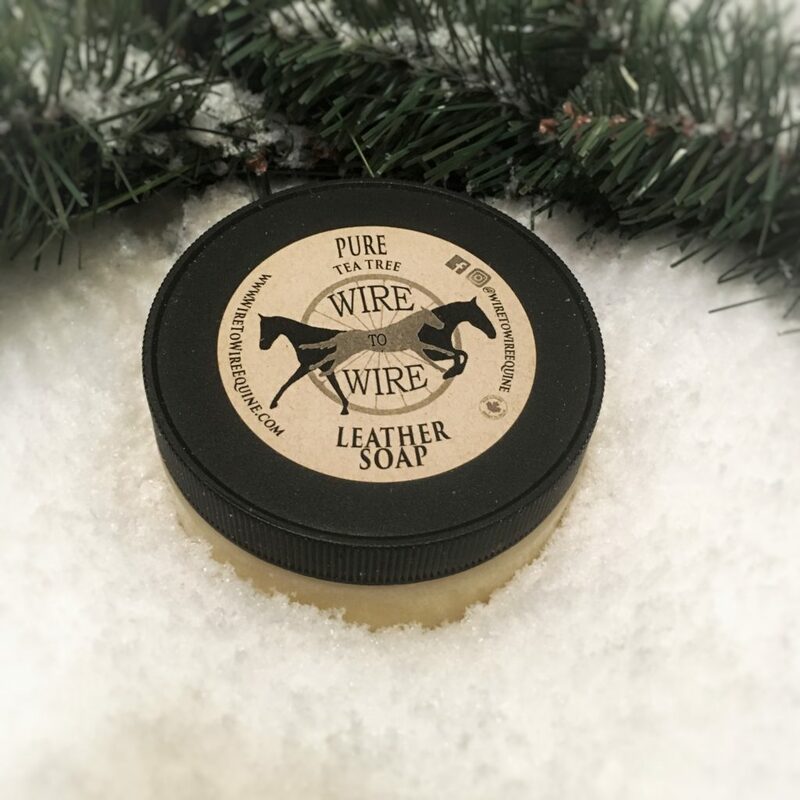 Wire to Wire – High Quality Tack Cleaner & Leather Conditioner. We spend hundreds if not thousands of dollars on tack for our equines so you can definitely imagine that we want to keep it in the best condition possible! 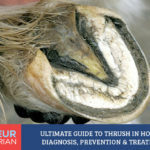 Now granted there are tack cleaners you can find at your local tack store, but they’re not only not worth the money, sometimes they can do more harm than good to your favorite equestrian’s tack and riding boots, that range from $200 – $6000+. Plus, if you give her just a plain old bottle of Lexol leather cleaner that you can find at a local auto store that could potentially cause her leather to fade or crack, she’ll put it in the pile with the rest and think that you didn’t put much thought into your gift. 2. 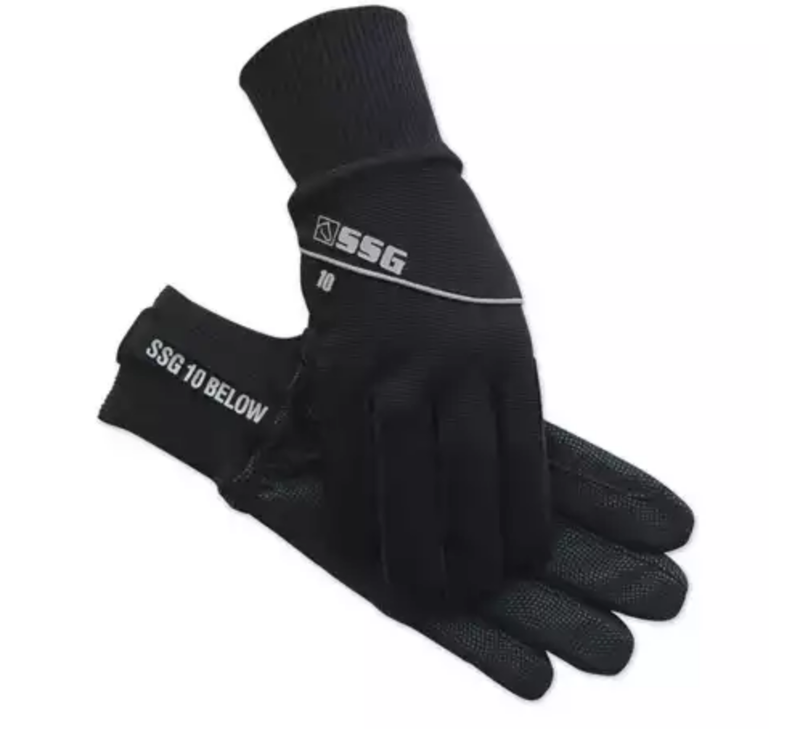 Winter Riding Gloves – Whether we have a pair or not, we can always use more, and better ones. Gloves are often lost, and wear out easy and every rider will appreciate an extra pair, no matter how many pairs they have. If they don’t get used immediately they will get used eventually! SSG is one of our favorite brands. They’re toasty warm, waterproof (not just water resistant) they’re lined with thinuslate and polar fleece, and are good up until 10 below. There are definitely other brands to choose from buy since we’ve tried them we can attest to their quality! 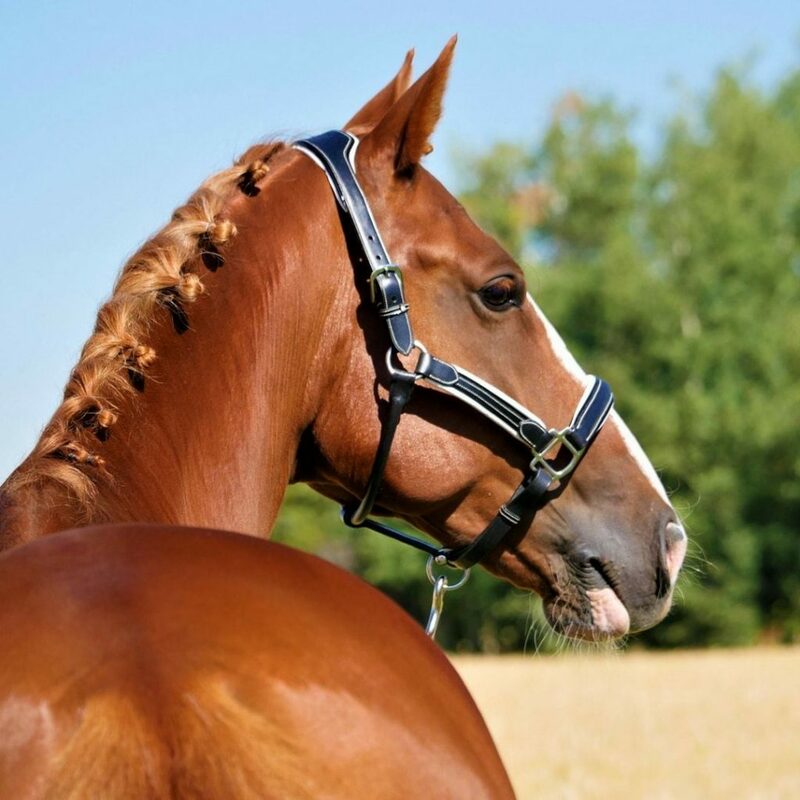 3 Leather Show Halter – There’s not a horse owner in the world who will turn their nose up at a new, high quality show halter! 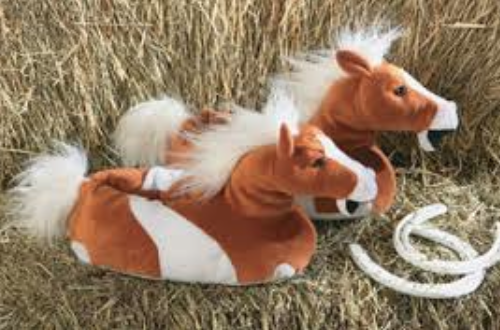 In fact, if you’re dating said horse owner, your brownie points will go through the roof with this gift. 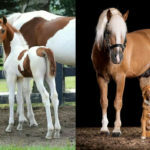 If they ride dressage, choose black, or black with white padding. Even if you don’t know much about horses, you really can’t get this wrong. 4. Tall boot socks – Another fun stocking stuffer gift we can never have enough of are socks for our tall riding boots. They come in a lot of fun colors and thicknesses for winter through summer, and best of all, its something we definitely appreciate! 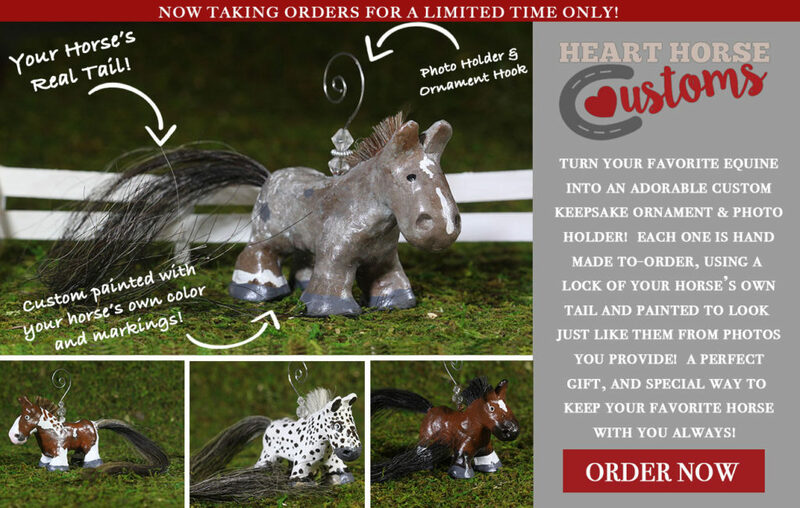 They can be found at any horse store both local and online! 5. 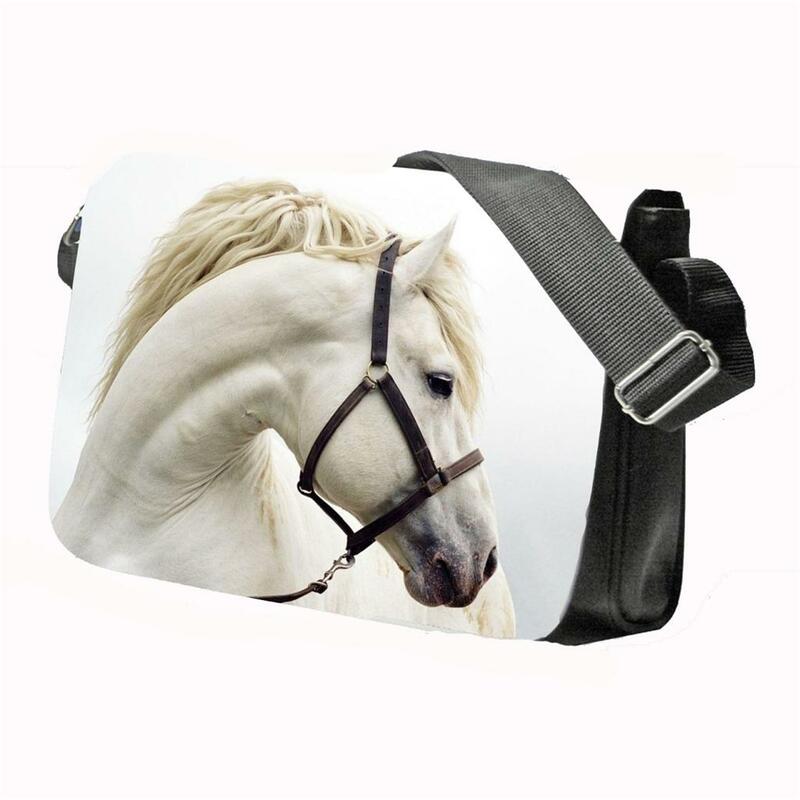 Personalized Horse Hair Gift – This is a very special and unique gift that every horse owner will die for. Getting your favorite equestrian a gift made out of their own horse’s tail is something they will always cherish and get to keep with them to honor their favorite equine year after year. Two “personalized” horse hair gifts are custom horse hair bracelets, and custom horse hair ornaments/photo-holders. The bracelet makers are easily found on Etsy. You send them a piece of the horse’s tail and they send you back an adorable keepsake bracelet that your horse lover friend will be able to wear or take with her anywhere.